Nature writers know that to be fully human is to be engaged with our natural surroundings. Elemental South is a gathering of works by some of the region's best nature writers - people who can coax from words the mysteries of our place in the landscape and the human relationship to wildness. Arranged by theme according to the basic elements by which many cultures on earth interpret themselves and their place in the world - earth, air, fire, water - the writings consider our actual and assumed connections in the greater scheme of functioning ecosystems. As we read of bears, ancient magnolias, swallow-tail kites, the serenity of a country childhood, the pleasure of eating real food, the remarkable provenance of ancient pottery shards, and much more, these works lure us deep into the southern landscape, away from the constructs of humanity and closer to a recognition of our inextricable ties to the earth. 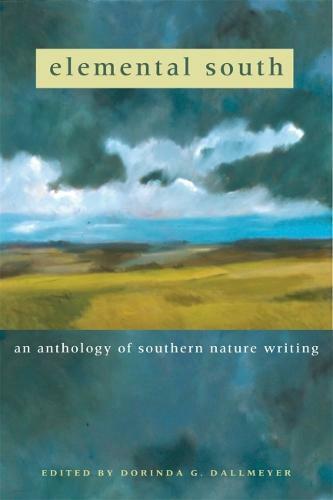 The writers are all participants in the Southern Nature Project, an ongoing endeavor founded on the conviction that writing like the kind gathered here can help us to lead more human, profound, and courageous lives in terms of how we use our earth. Some of the featured writers are originally from the South, and others migrated here - but all have honed their voices on the region's distinctive landscapes.